APARSEN is a Network of Excellence, bringing together views on digital preservation from researchers, institutions, universities, associations and commercial companies. 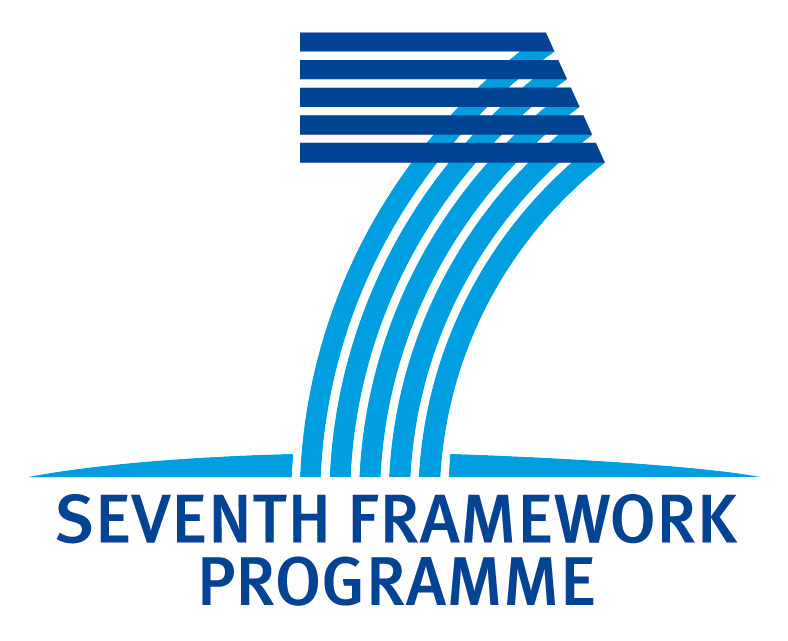 It is a Digital Preservation Technologies project funded by the European Union 7th Framework Program RTD (research and development) that aims to ensure that the benefits from digital preservation/curation are realized effectively and efficiently. Conceived to create a “Virtual Center of Excellence”(VCOE), APARSEN main objective relies on creating a common vision and continuing the journey of integration of the European digital preservation landscape. This is a fairly new organizational concept, that describes the aim to bring together the capabilities, knowledge and expertise from diverse teams across geographical and organization boundaries to create something exemplary and outstanding within its domain. The VCOE is not a single centralized organization. Its skills reside largely in its members but it acts as a support mechanism to help to improve the way digital preservation is carried out. The key to a successful VCOE is the vision which is shared by all members, including the know-how and “know-why” of digital preservation. The networks link expertise includes who to ask about particular areas. The unique feature of APARSEN is that it is building on the already established Alliance for Permanent Access (APA), a membership organization of major European stakeholders in digital data and digital preservation. APARSEN will focus a considerable effort on promoting and supporting the spread of digital preservation best practice. This will include the production of publications, development of training courses and curricula, and hosting of workshops. APARSEN will provide some of the answers to how access can be maintained through work on identifiers and citability, data policies and governance, and digital rights. APARSEN will address issues of trust through work on testing environments, authenticity and provenance, annotation and data quality, and repository certification. APARSEN work on topics such as cost/benefit analysis, preservation services, storage, and business cases will seeks to bring together disparate research to help build sustainable repositories. Researchers in digital preservation will have a common understanding of the digital preservation landscape, a common set of testing procedures and test data and a common repository of tools. Researchers in digital preservation will share a similar standing in almost every university as any other mainstream academic areas of research such as Physics or Humanities, with large numbers of graduates in digital preservation supplying a large demand in commerce, culture and society. Research data producers will increasingly find preservation being built in to the workflows used to create data. Information curators will find it more affordable to preserve digitally encoded information, which will be reflected in their cost models and preservation plans. Ultimately, they will have choice of well tested, robust, cost effective ways of preserving their digital holdings, and will have more confidence in their ability to preserve their holdings. Decision makers will have a consistent overview of digital preservation and a view on cost/benefits; enabling them to take well founded decisions. External certification of the repositories for which they are responsible. Suppliers will create products for preservation and use of digital objects based on the identification of standards, common services and tools. Society will have an interoperable set of tools which will help them to survive and swim in, and even benefit from,the tidal wave of data. A doctorate in Theoretical Physics and former astronomer, David Giaretta is charged with bringing all the strands of APARSEN together. David has an extensive experience in planning, developing and running scientific and digital preservation initiatives, as revealed through a vast portfolio of projects –such CASPAR,PARSE.Insight, SCIDIP-ES-, workshops and many scientific papers and articles. Chairman of the panel which produced the OAIS Reference Model, member of the program committee of the PV series of conferences which focuses on preservation and adding value to scientific and technical data, David Giaretta took up the role of Director of the Alliance for Permanent Access in July 2010. In 2003 he was awarded a ‘Most Excellent Order of the British Empire’ for services to Space Science. In 2005 he co-organised the Warwick workshop “Digital Curation and Preservation: Defining the research agenda for the next decade”, which proved to be very influential in the UK and internationally. More recently he was rapporteur for the EU High Level Group on Scientific Data whose report “Riding the Wave” put forward a vision for 2030. APA conference to be held in ESA/ESRIN site in Frascati, near Rome. For more information click here. Data Seal of Approval conference, Florence, see here for more details. Cultural Heritage on line-Trusted Digital Repositories & Trusted Professionals, Florence. For more details see here. 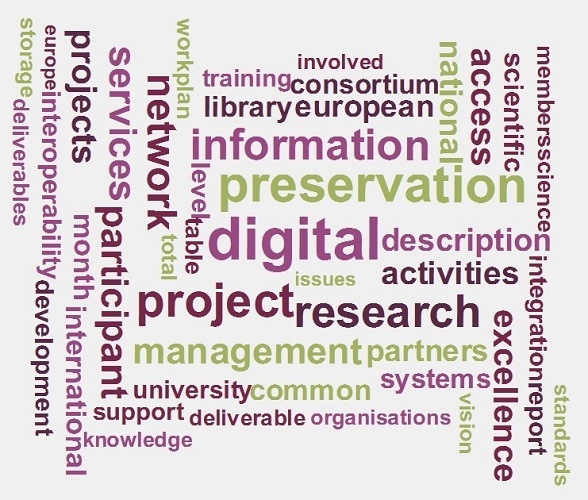 Research programmes in digital preservation are evolving and is still a dynamic process in many institutions. In APARSEN we will follow, document and compare upcoming strategies in digital preservation as being an indicator of relevance for institutions and a measure of integration. will provide key evidence as to the effectiveness of our defragmentation activities. What we would hope to see is an increasing coming together in the directions of research activities. D11.1 Comparison of research programmes as a measure of integration. The aim in this first version is to capture the context of the digital preservation activities for most of the APARSEN members, then to bring together high level views of individual members’ digital preservation activities. D11.2 Report on a Common Vision of Digital Preservation. This document, and its annual updates, provides snapshots of the discussions and plans and preparations, and recording the agreements reached on our common vision, for the creation of the VCoE arising from the APARSEN project. APARSEN is working on an overview about standards, recommendations and projects dedicated to preservation activities in the different domains. Starting with the OAIS standard which is the base for most of the reviewed standards and standardisation activities APARSEN will give an overview about the current standard situation in different communities, and will describe preservation initiatives that have been working on to establish preservation standards, methods, tools and services in European and national funded projects. Persistent Identifiers– there are so many to choose from; will they all survive? The importance of linking data to people to organisations to publications, each with their own identifier systems – raises important challenges. We propose a practical framework to address these challenges. D24.2 Implementation and testing of an authenticity protocol on a specific domain. As digital preservation is an emerging field for research and development it needs reflection in education and training. APARSEN as a Network of Excellence will help to train the next generation of digital preservation experts by designing different types of curricula. APARSEN aims to define courses and develop training materials for digital preservation practitioners, providing instruction on topics covered by APARSEN’s research and integration activities as well as general digital preservation best practice. APARSEN does background research in order to set the objectives and strategies for the development of training courses for digital preservation practitioners within the Network of Excellence. The aim of this background research was to draw together a comprehensive picture of the digital preservation training that is currently available and to identify the training needs of practitioners working within the field. It is essential that the training developed in this work package meets the highest standards of content, delivery and relevance as this training provision will mature into a core component of the Virtual Centre of Excellence that will evolve out of APARSEN. Copyright © 2012 APARSEN All rights reserved.